Looking for a roofing contractor in Oakland Park, Florida? 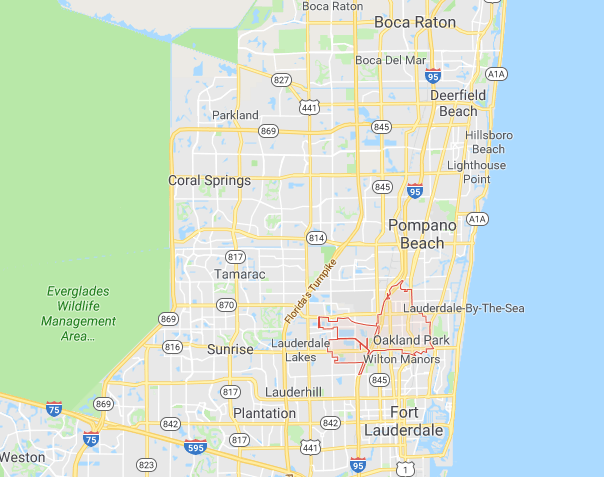 Oakland Park, officially the City of Oakland Park, is a city in Broward County, Florida, United States. Just North of Fort Lauderdale, Oakland Park has attractions from the Fern Forest Nature center to the Hillsboro Inlet. Country Clubs and parks line the streets with things to do for everyone in the family all along the way. Although it is a beautiful area, residents have been subject to storms and hurricanes. In the state of Florida, if you have insurance you have three years to file a claim on your roof. EZ General & Roofing understands how difficult life can be after a disaster such as a hurricane. We are here to put your mind at ease after these times by ensuring that your roof is sound and beautiful. EZ General & Roofing Contractors have the best contractors in the business, whether it is a repair or a complete remodel, you can be sure that your roof will be pristine. Backed with over 18 years’ experience, EZ General & Roofing Contractors will make putting your home back together EASY! Have a Project in Mind? Lets Get Started!